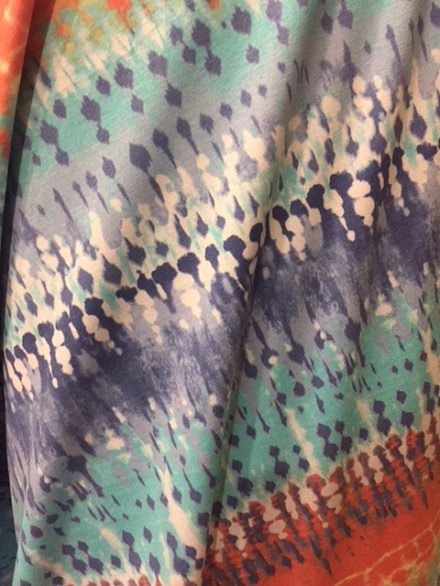 60″ wide 95% Rayon 5% Lycra beautiful soft stunning colors shades of blue/coral for the season. High quality rayon/ viscose with a liquid buttery drap. A perfect weight for tunic, dress, skirt, T-shirt, drap jacket.